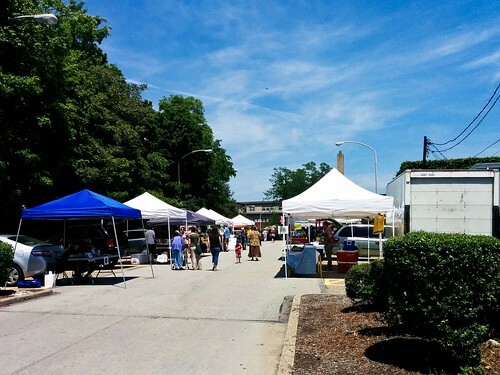 Squirrel Hill has a new Farmers Market, which I plan on taking advantage of this summer. 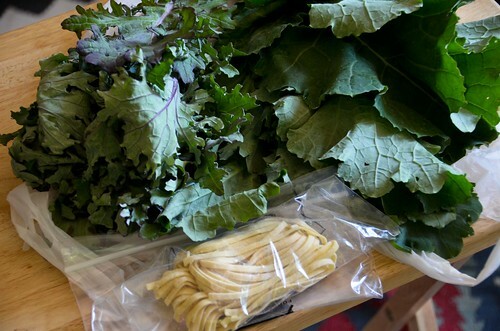 The first weekend, only slim pickings remained after the first three hours, but we still managed to get some interesting varieties of kale and a bit of fresh pasta. I have high hopes for this farmers market. The kind that involve pickled dilly beans and vanilla peaches.